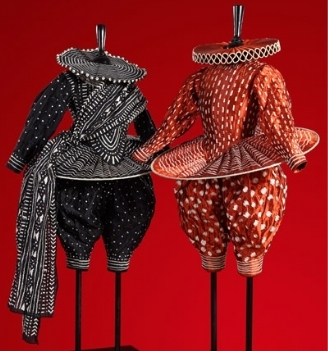 Costume – Art or Design? I consider costume design to be a creative profession, but not a fine art. There is a fine line however where costume (and almost anything else), can move over the boundary into a kind of art form, although it is hard to define the criteria of when or how it happens. My take is that costume design is just that; design, not art. The definition of design is that function is paramount; it is problem solving, much of which is technical, logistical and most of it is teamwork. OK I’m being flippant here, but it illustrates the point! 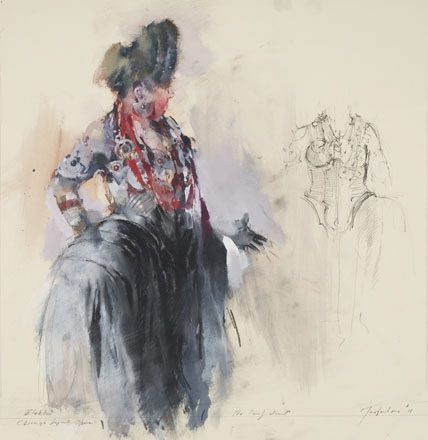 An elaborate design for a costume could look wonderful framed and up on a wall; but could the same costume be worn successfully by a dancer without weighing her down and obscuring her footwork? As a picture it is one thing, but as a garment it is quite another and costume designers know how to create the same effect, but in a dancer friendly way. 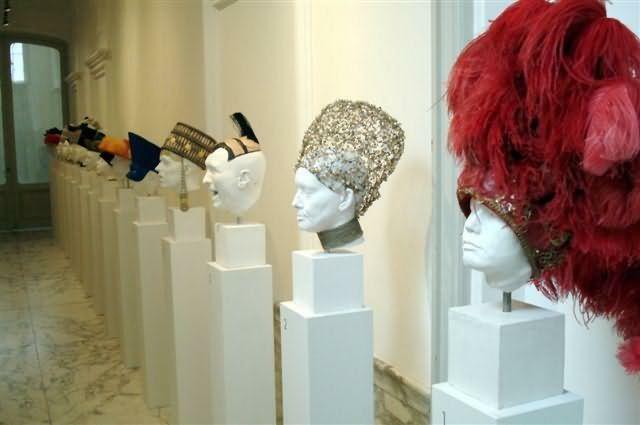 Other than in a historical context, costumes, as objects, don’t belong in galleries under the name of ‘Art’. For me, costumes are inseparable from the personalities and performance of the people wearing them, the characters they are portraying. Generally costumes are moving not static, but that is not to say that costumes don’t have visual elements worthy of inspection in their own right! Personally I love having both technical and logistical problems to work around; the costume might have to go into water, to fly or to be on horseback in a stunt. The restrictions actually help, giving us parameters to work within, thus eliminating options and choice and the function influences the look. A costume needs to be a good fit (in more senses than one) for any given script, actor, dancer or genre, because costume is essentially a language and designers communicate using that language as our part of telling the story – which is the script. What we create is part of the bigger picture, where costume is an important detail of that picture, and where every detail counts. All of the information on the stage or screen is taken on-board by the viewer, whether consciously or not. This will make the story into a more (or less) meaningful experience, as long all the details are relevant. 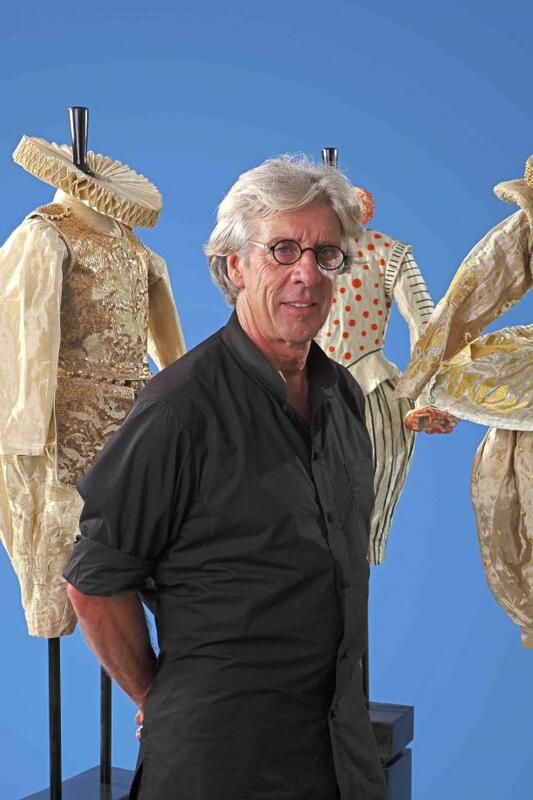 3 X Oscar winning costume designer (and mentor), James Acheson, once told me “Our job is to solve problems”. I have never forgotten that, because that’s exactly what our job is. We have to be able to juggle budgets, schedules and crews, as well as make the cast look exactly right for their characters. From a different perspective, costumes and fashion can also be beautiful objects in their own right; take the Alexander McQueen Exhibition at the V&A in 2015, which was nothing short of a visual feast. In 2012 also at the V&A, the Hollywood Costume Exhibition curated by Oscar nominated costume designer Deborah Landis, was packed with famous and iconic costumes, which were a statement of cinematic history, and on a (literally) smaller note, Dior’s exquisite ‘Le Petit Theatre’, a collection of quarter-scale couture gowns, which tour the world, exhibited in places like Harrods, not normally associated with art. This influenced my creating ‘The Little Costume Shop’, making decorative ballet costumes, also in quarter-scale, which when exhibited at the Royal Opera House Covent Garden, had people standing, sometimes with their noses pressed against the glass, studying the costumes intently, not wanting to miss the tiniest detail. There is a fascination for realistic objects made in a smaller scale, which maybe originates in childhood when the adult world is ‘miniaturised’ for us in the form of people (dolls), animals (teddy bears), buildings (dolls houses) and all forms of transport (Dinky toys and trains), in other words ‘toys’. Our need for toys along with a degree of sentimentality goes well into adulthood; it just gets more sophisticated – and expensive! Despite being dismissive of elevating costumes to ‘art’, I do think it’s possible to find art in costume, but it’s like finding gold and should not be mistaken for something that is only pretending to be art. 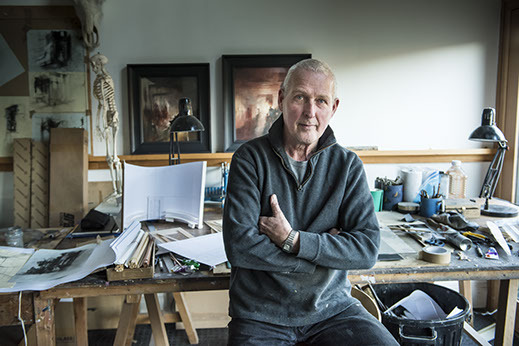 John Macfarlane, the inspired theatre designer, works internationally in ballet and opera. 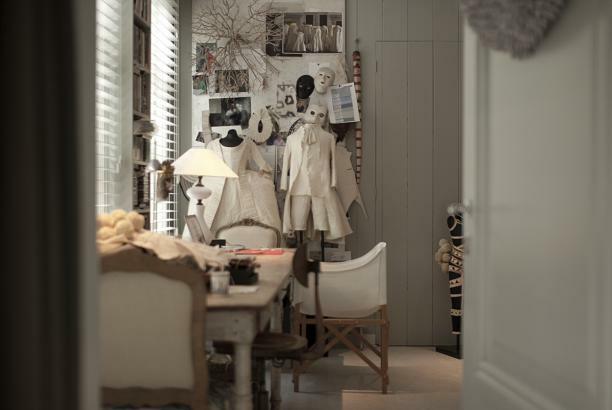 He creates whole other worlds in his staging concepts, and designs breathtaking costumes in collaboration with his team of hand picked costumiers. His costumes work perfectly for dancers, not inhibiting their movement, even enhancing the choreography. 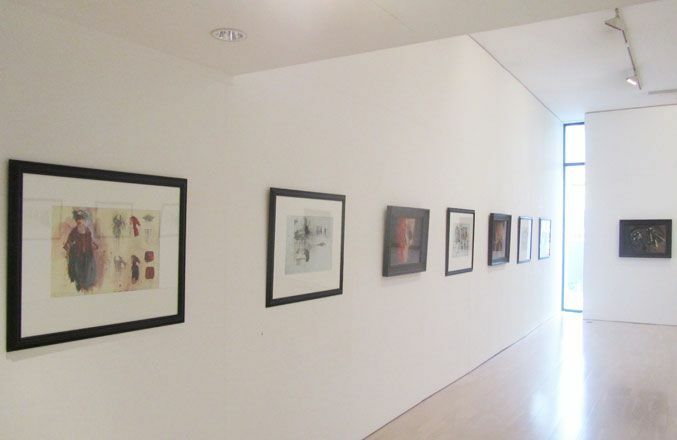 His designs on paper are works of art in a different sense, packed with vitality, strength, draftsmanship and beauty, (I have one on my wall). John is the design equivalent of a prima ballerina assoluta. 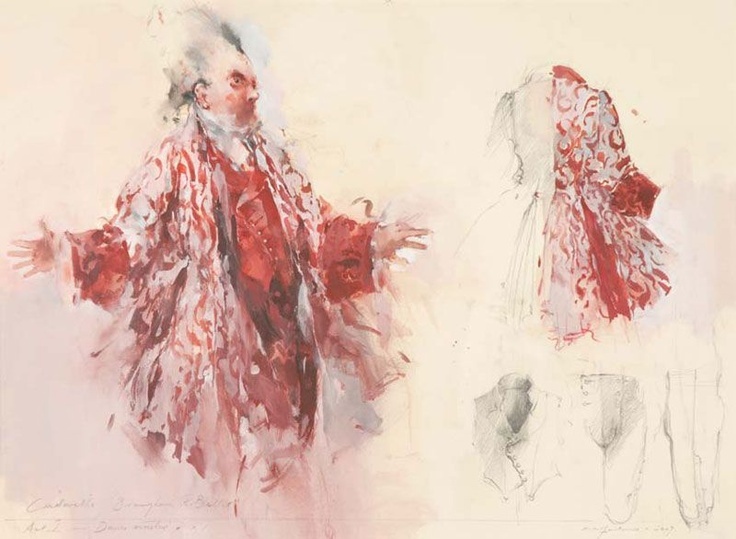 He is without doubt an artist in every sense, and I would be the first person to go and see an exhibition of his costumes and drawings in a gallery. But I think I would prefer to see the performance that they were designed for. Footnote: I would welcome any thoughts on this subject, as it can be interpreted in different ways. It’s probably something that can’t be answered neatly in one little blog ..